Good for various kinds of foods such as hamburger steak, chinese dumplings materials and fish paste with high viscosity. ●Rotary vane type in pump prevents deterioration in the material quality. 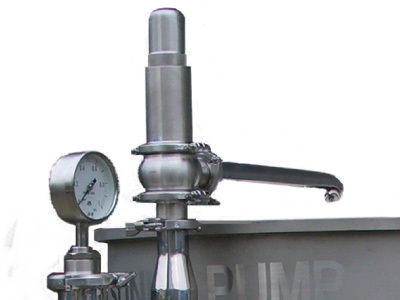 ●Constant pressure device is available in accordance with your usage. ●Less fluctuation, less pressure variation, keep the good transfer. 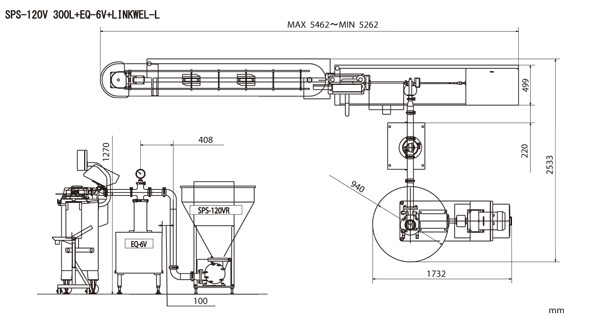 ●Standard hopper has 300 liters capacity, and available 500 liters and 900 liters too. 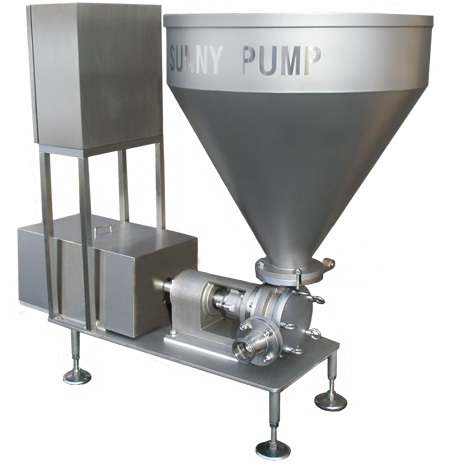 The vane pump ensures smooth feeding of the raw material without crushing the meat. Plating finish on the inside of the pump housing and UHMWPE(Ultrahigh Molecular Weight Polyethylene) vane ensure longer life of the housing. The inside area where the raw material passes can be easily disassembled for cleaning, maintenance allowing a high standard of sanitation. 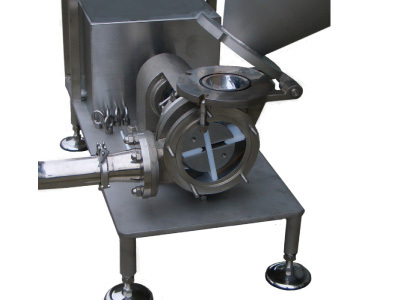 Constant pressure device will prevent deterioration in the meat quality and it will improve stuffing accuracy during stuffing. 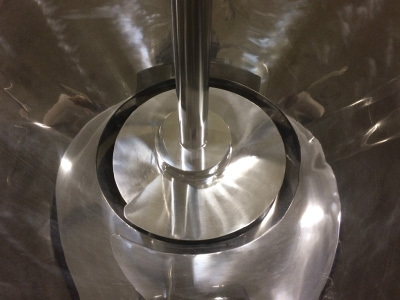 We also have SPS-V series with relief valve available as a low price model. 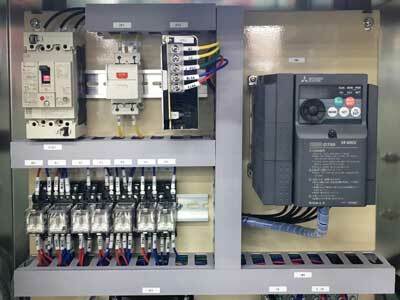 As the speed can be set easily by means of the inverter control and starting power is required, the pump rotates smoothly.